Ensalada Rusa (Russian Salad) is a delicious potato salad that many South American people eat. Wait, what? If it’s called Russian Salad, then what does that have to do with South America? Well, the salad actually hails from Russia, but the ingredients have evolved and changed so much that they are no longer the same salads. 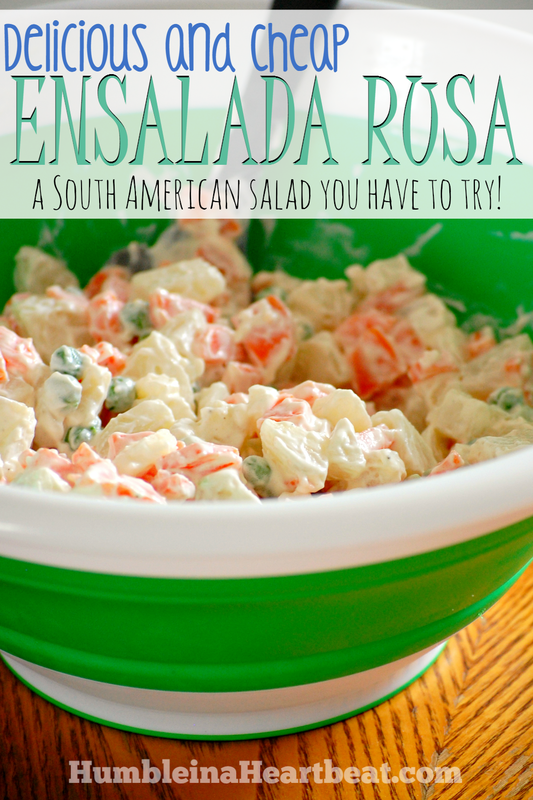 My husband grew up eating Ensalada Rusa at most of his weekly asados (BBQs). 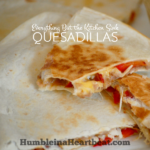 It wasn’t until a few years after we got married that I learned how to make it. One Christmas a couple years ago, my sister-in-law made this salad with beets. At first, I wasn’t going to eat it because, beets and I? We didn’t get along. But then I got curious. I honestly had never tried a beet in my life, and what if I was missing out? So I tried it, and I loved it. The beets are completely optional, but they make the salad even more nutritious, colorful, and tasty. 1 clove garlic minced, about 1/2 tsp. Peel the potatoes and carrots. Dice them so each cube is about 1/2 inch. Add the potatoes to a large pot and cover with cold water. Put on the stove over medium high heat. Add the carrots to a regular-sized pot and cover with cold water. Put on the stove over medium high heat. Once the potatoes and carrots begins to boil, give them a stir and place the lids on the pots. You might also want to turn down the heat to just above medium. Let boil for 8-13 minutes. Test with a fork to check if they are done before you turn off the heat. Drain the potatoes and carrots in a colander, combined, and let them cool for 10-15 minutes. Put in a large bowl, cover with plastic wrap, and put them in the fridge until they are chilled, at least 2 hours. About 3 hours before serving, get the dressing for the salad ready. In a small bowl, combine the minced garlic, mayo, salt, and pepper. Take the large bowl out of the fridge. Pour in the peas and combine. 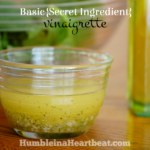 Now put the dressing on top and stir well, making sure everything has dressing on it. Taste and adjust seasonings if necessary. Put the large bowl back in the fridge for 3 hours (but if you’re pressed for time, 1 hour should suffice). 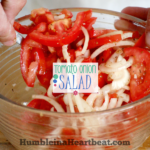 Get the bowl out of the fridge right before you need it, and taste and adjust seasonings if necessary, once again. Serve. 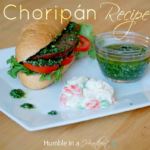 You can eat Ensalada Rusa with a BBQ, Choripan, or take it with you on a picnic. One of the first times I made potato salad, I did not cook the potatoes long enough. I was fairly new to cooking, but I did test a potato and it was done. Unfortunately, a lot of the other potatoes weren’t and we had crunchy potato salad. Really gross. I think the problem was that I didn’t cut the potatoes small enough nor into similar enough sizes. 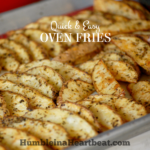 Be sure when you make this that your potatoes are all pretty much the same size and that you test one or two potatoes before draining the water. 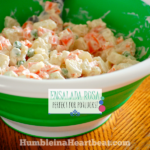 Ensalada Rusa is a great way to use up some potatoes and carrots in your house. 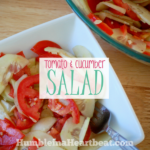 With it being so inexpensive to make, this salad is a perfect side dish to your BBQ or a potluck. What side dishes do you serve at a BBQ? I’ve had this before in Spain. I’m so happy to have the recipe. Thanks! Hope you like it, Kathleen!